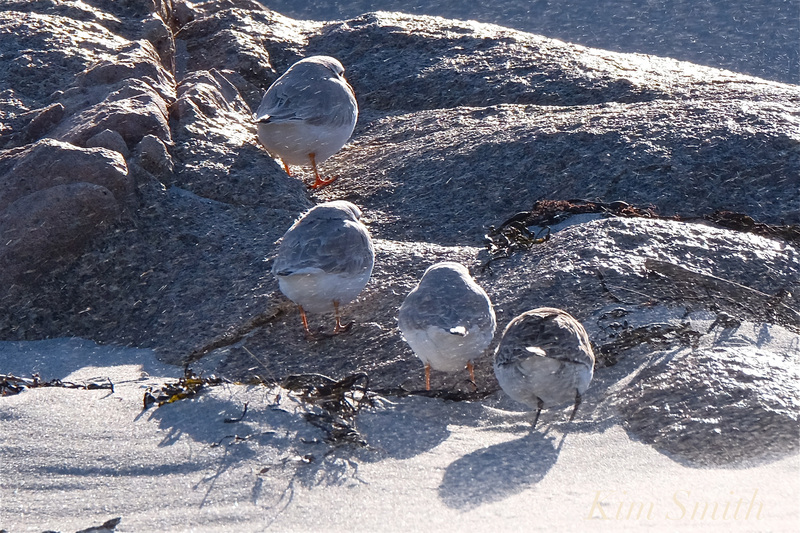 Saturday at 5:30pm and there are not three, but four PiPl!! 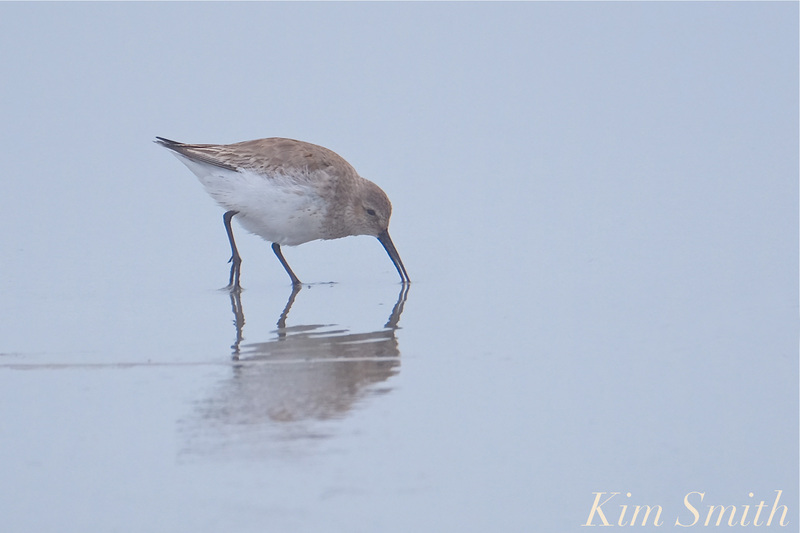 The Dunlin is still here and doing everything Plover, it is so funny to see. I think we have three males and one female. They were sleeping at the wrack line but as the sun was setting, more and more dogs. They don’t seem to mind people playing in close proximity, but then a bunch of dogs ran through where they were resting and so down to the water’s edge they flew. Sixteen off leash between 5:30 – 7pm, and it’s an on leash day. I avoid GHB during the off season because of dog owners that allow their dogs to jump on you, but it is so disheartening to see them running wild through the dunes. So much habitat destruction taking place. 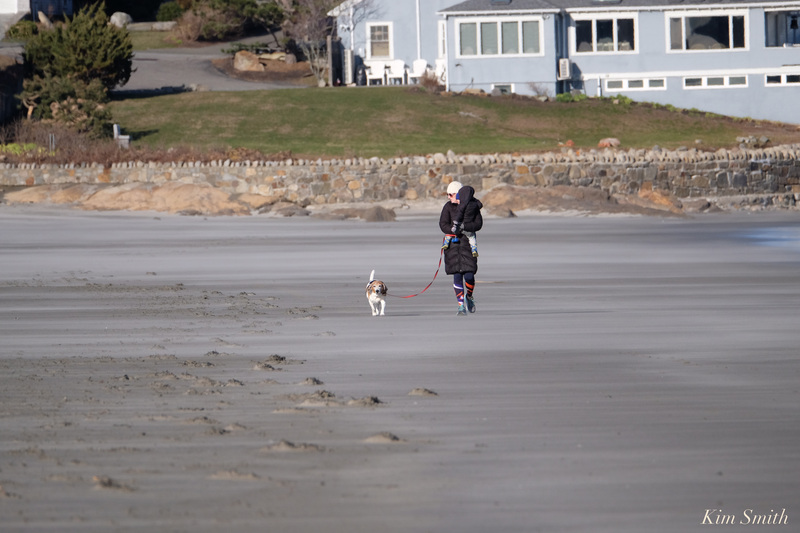 How will the dog owners respond when they learn the Piping Plovers have returned and are nesting again at GHB I wonder. Total mayhem on the beach. Dogs are everywhere, on the shoreline, the wrack zone, and running completely wild through the dunes. One knocked me over. I love dogs but this is crazy. The PiPl don’t have a chance and it’s too distressing to watch them try and rest and forage and nest and constantly be chased off. 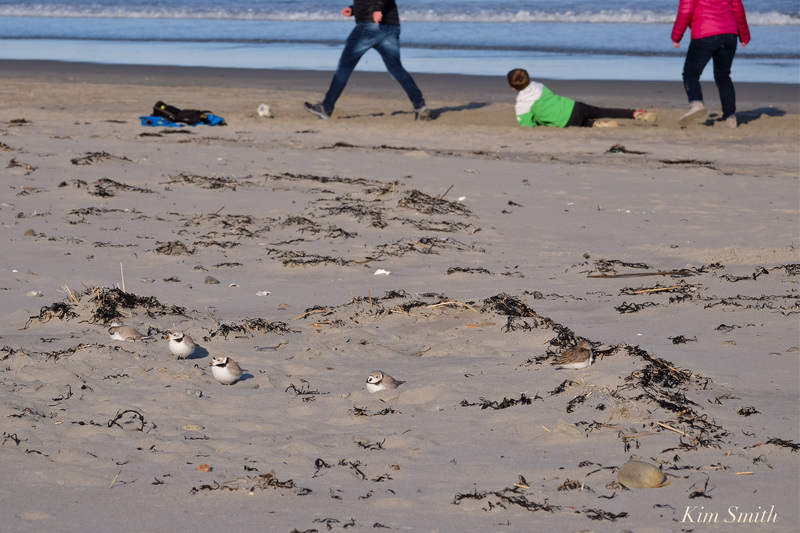 Precisely where they were sleeping at the wrack line, a couple threw their dog’s tennis ball right smack at the PiPl. 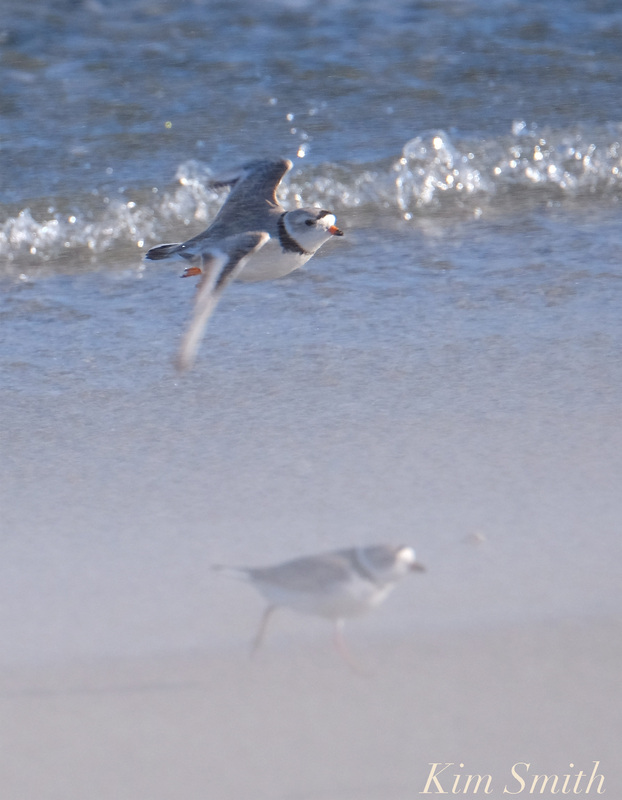 So startled, I and the PiPl both jumped up half a foot, before they flew off. 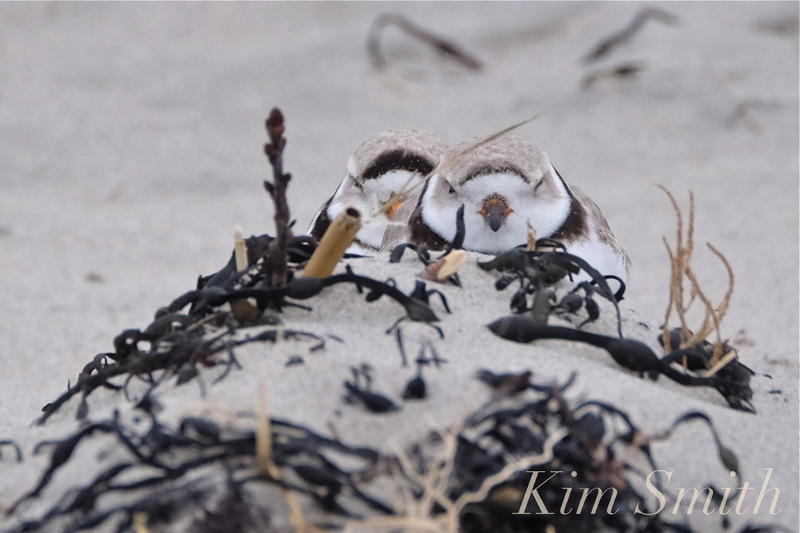 Of course the couple didn’t know the PIPl were sleeping but it’s just really, really frustrating. I wish so much we could do what they do at Crane’s Beach, where during the off season, dogs are allowed on a section of the beach. And at Cranes dog owners do not allow their dogs to run rampant through the dunes. Tom came back from a walk at noon and couldn’t find the PiPl anywhere, and he is really good at spotting. I’ll check back at sunset to see if the PiPl can be found. Praying and hoping they have found a safe place. Heartbroken. 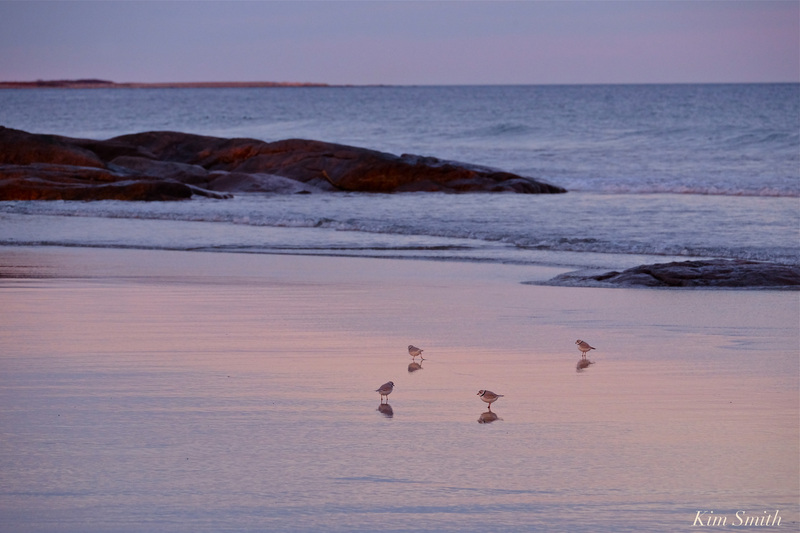 No plovers at sunset, anywhere, walked from the creek to the hotel twice. Still chaotic with dogs. Will try tomorrow at dawn. Hooray!! 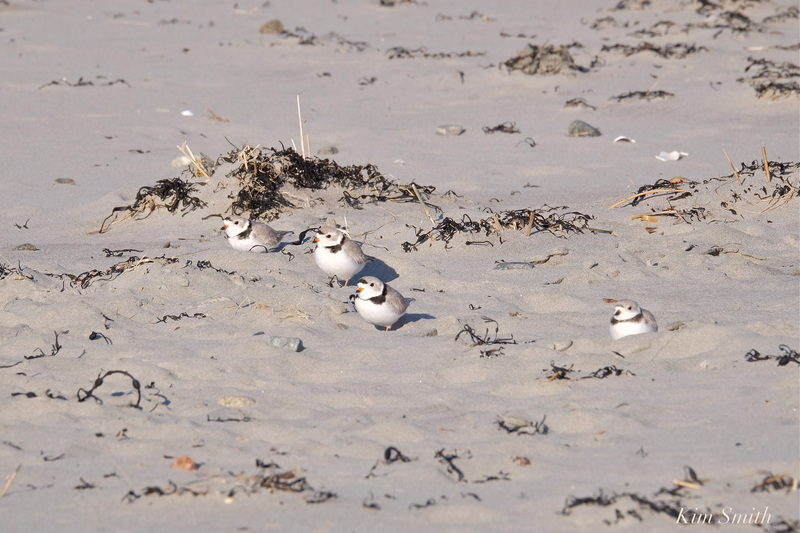 Daybreak and I found them, three Plovers sleeping all in a row! Hopefully will find the other PiPl and Dunlin later today. 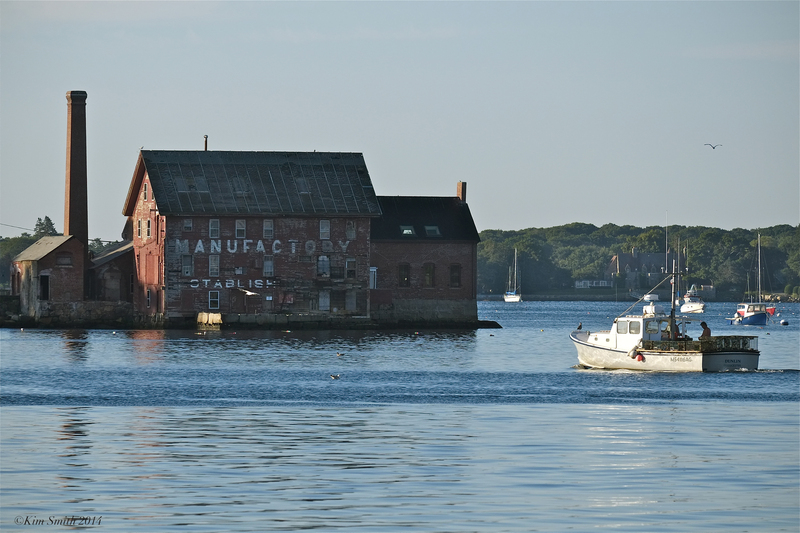 Emailed Ken Whittaker, Gloucester’s awesome conservation agent, and we are meeting this afternoon. The goal is to get a cordoned off area in place before the next weekend when dogs are off leash. Reminder to let people know to contact Ken if they would like to help this summer by being a Plover ambassador. 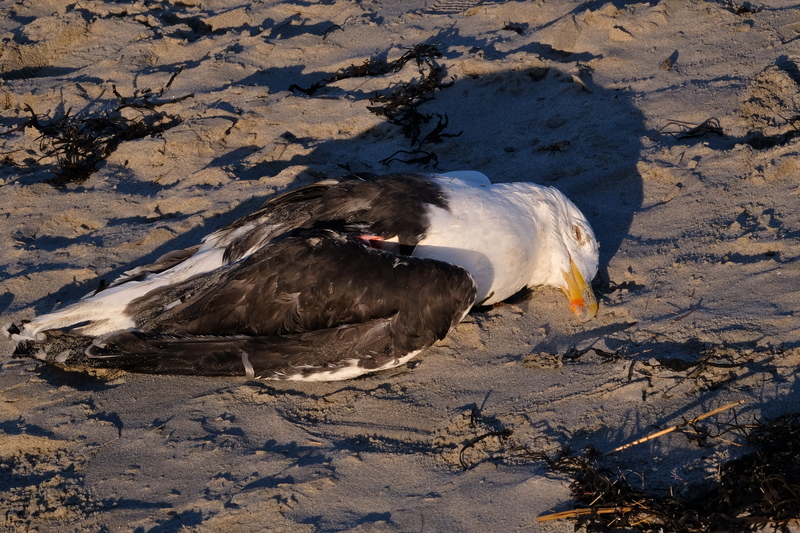 Large dead Black-backed Gull on the beach near the big rock and will move that this afternoon after I speak with Ken. We don’t want to attract varmints to the Plovers’ nesting area! 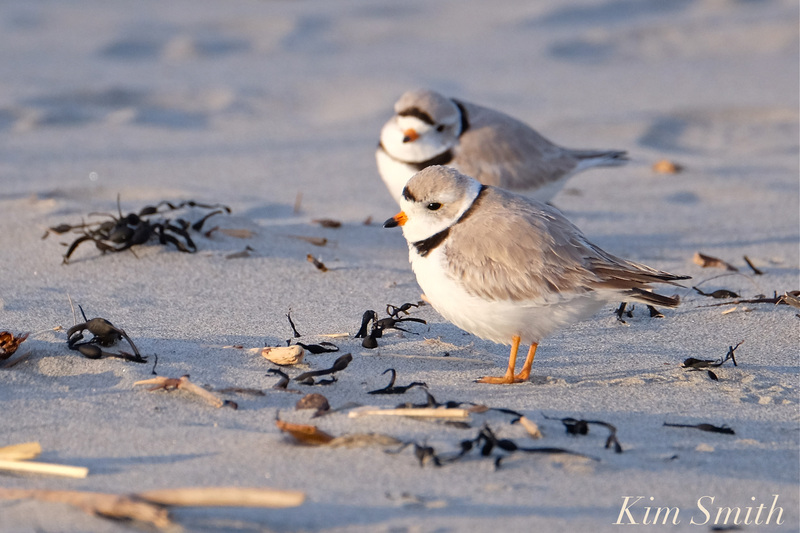 This entry was posted in Birds, Birds of New England, Gloucester, Life at the Edge of the Sea, Piping Plover and tagged Beautiful Birds of Cape Ann, Calidris alpina, Charadrius melodus, Dunlin, Female Piping Plover, Gloucester, Good Harbor Beach, Male Piping Plover, Piping Plover, when do Piping Plovers return to Massachusetts beaches? on April 9, 2018 by Kim Smith. 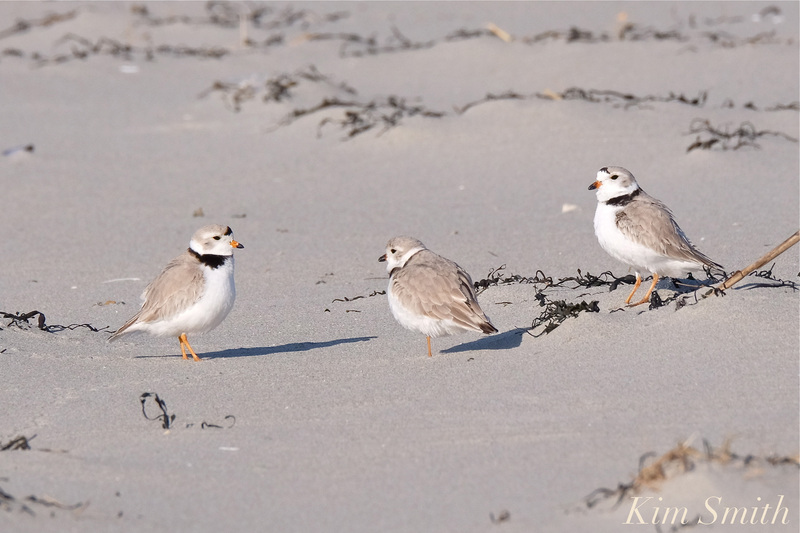 PIPING PLOVERS LITTLE CHICK AND FRIENDS RETURN!!! Oh Happy Day! Overjoyed to see the return of Little Chick and Friends!!!! Daily for the past several weeks I have been checking to catch sight of Piping Plovers. I looked this morning and nothing, but as Tom was leaving for a noon walk on GHB I asked him to keep his eyes peeled. My heart skipped a beat when he called only fifteen minutes later and said he thought there were three. I raced over, and sure enough, YES, three little plovers!!! They are so weary I don’t know what to think. Did they fly straight from the Carolinas or even further, from the Turks and Caicos, or possibly some remote island in the Bahamas? They are so sleepy-eyed and only want to rest. 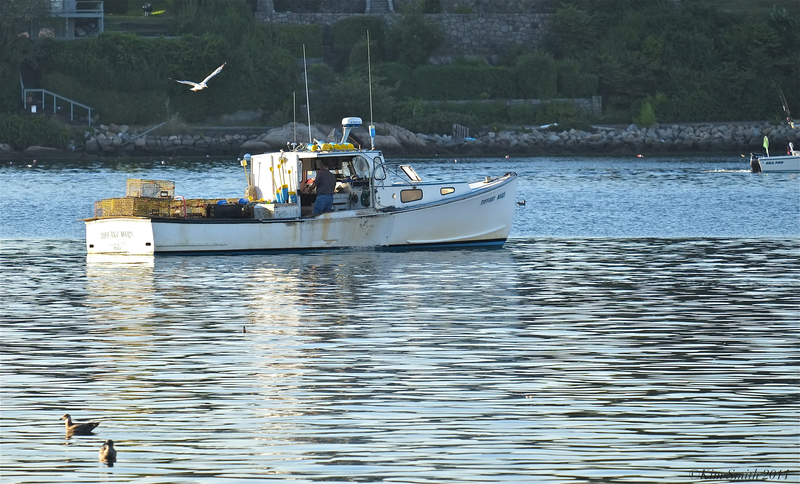 Will they stay or are they on their way further north? Is this a passing passel of plovers? Could this be Little Chick or Papa and Mama Plover returning? It’s so cold and damp, rain is predicted and later this week, snow. What do Plovers do in the snow? 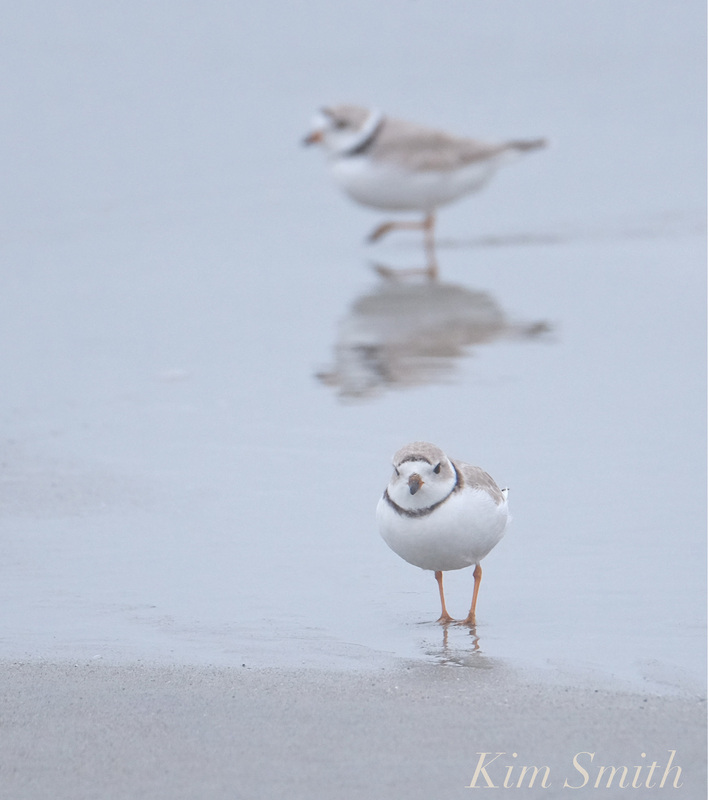 The Piping Plovers stayed the night, all three! They have been joined by a nearly as tiny little shorebird, a Dunlin I think. The PiPl appear to accept the Dunlin as part of the troupe. The Plovers seem a bit more perky today, foraging in the tidal flats. 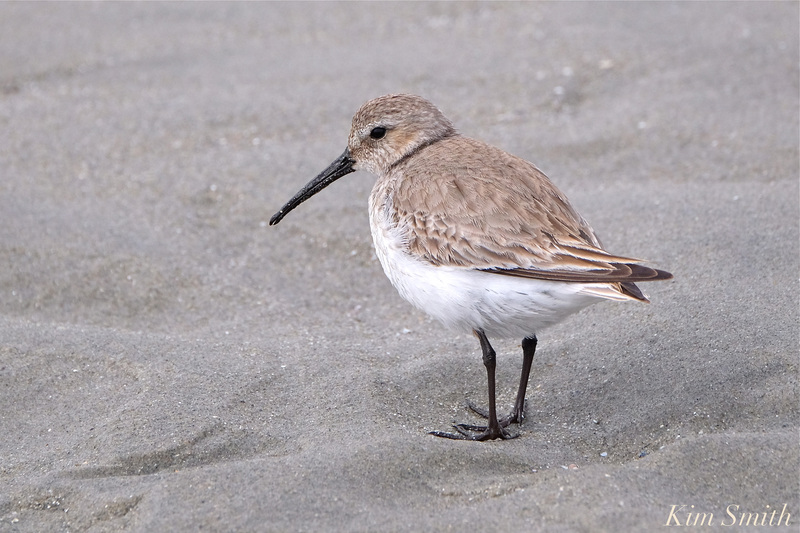 Why oh why do folks encourage their dogs to chase shorebirds? Will have to post about the Plovers if they decide to stay. Too foggy and drizzly for my cameras on the beach today. Joy! They are still here. Terribly, terribly windy. The Plovers are trying to forage but are being blown sideways. So smart–they are seeking and finding shelter behind the big rock, and are huddling with the Dunlin. Too much sand blowing on my cameras. The PiPl are courting!!! Does this mean they have made GHB home for the summer? If they lay eggs now, won’t that be tremendous because chicks will hatch well before July 4th. 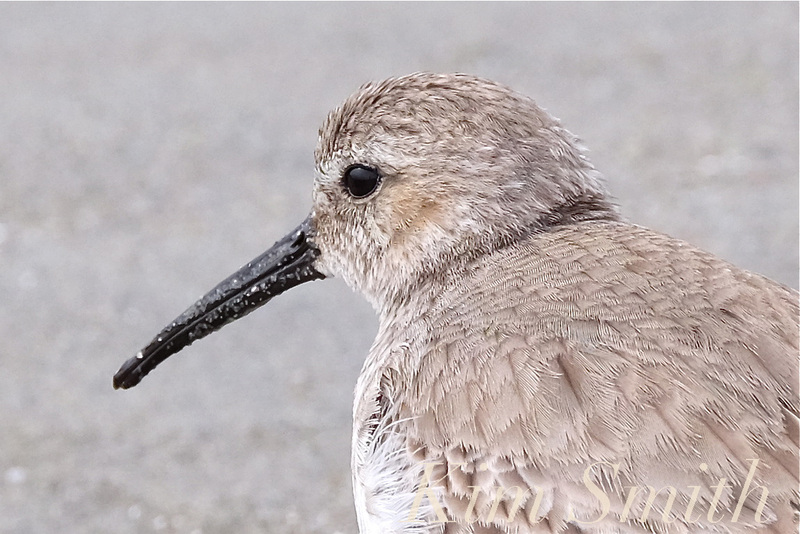 I think there are two males, one female, and the Dunlin is still here. Object of desire. The male with the brightest orange bill made several nest scrapes, inviting the female to come sniff his cloaca and to inspect the site. Courtship was interrupted numerous times by curious and exuberant pooches. The dogs are off leash on even numbered days. Perhaps the Dog Friendly people will help and keep dogs on leash when near this potential nesting area. I hope so much we can make this happen. If the PiPl are able to nest early, the chicks will have a much, much better chance of survival. Millions and millions of dogs, but only about three thousand nesting pair of Piping Plovers remaining. 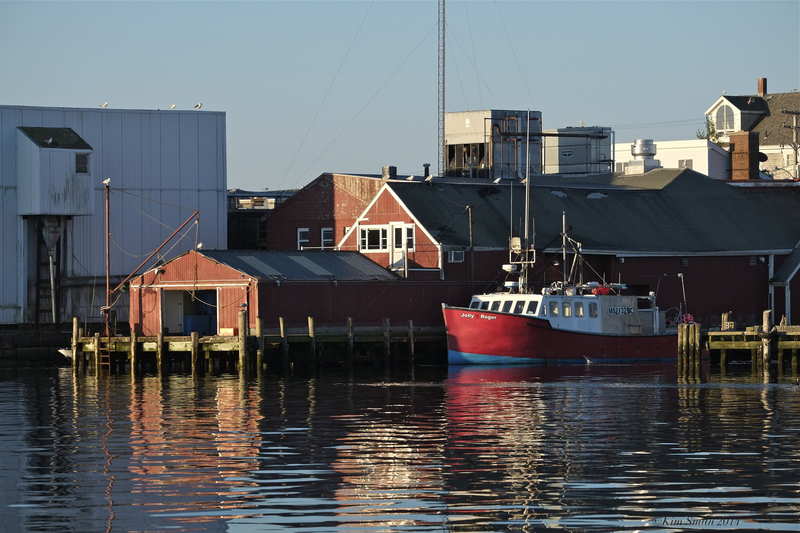 Will the numbers again drop this year after multiple hurricanes and late season nor’easters? 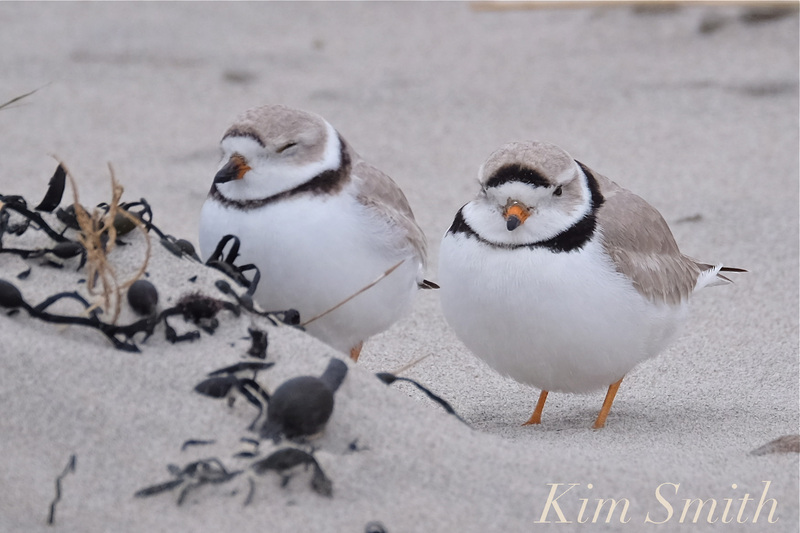 Female left, male right – notice the female Plover’s paler crescent band across her forehead, just a beautiful example of the difference between a male and female PiPl. It’s time to let folks know about the Plovers, and we need a roped off area as soon as possible. Sunny and cold and beautiful, with snow later today. 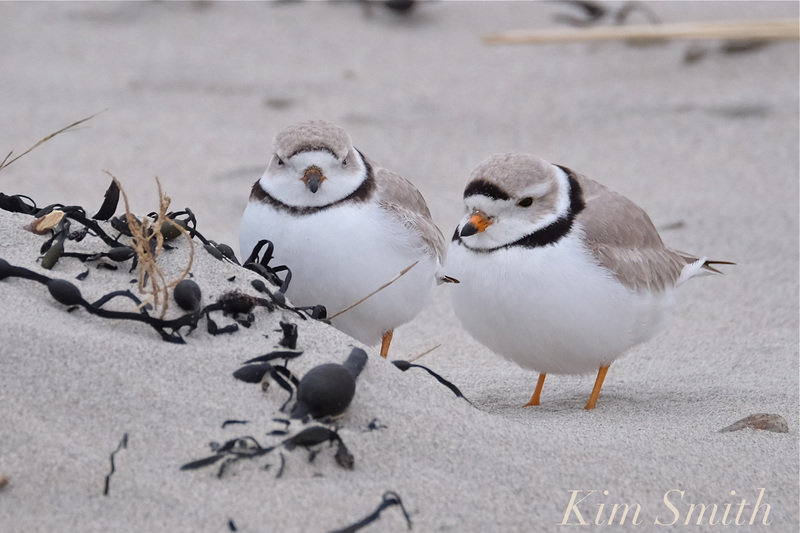 Late afternoon–what do Piping Plovers do in a snow squall? They forage! No photos, but a tiny bit of film footage. What were nice puffy wet flakes at home in my garden became icy, stinging cold driving rain/snow mix on the beach and too much for cameras to stay long. Posting Saturday and Sunday tomorrow when I have a chance to go through photos. 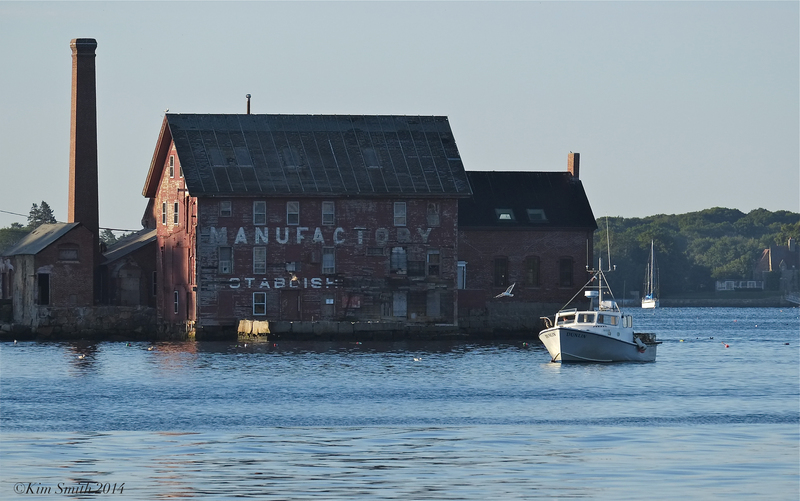 Great Gloucester citizen and friend to wildlife–kudos to this Mom for walking her dog on a leash, while carrying a child! 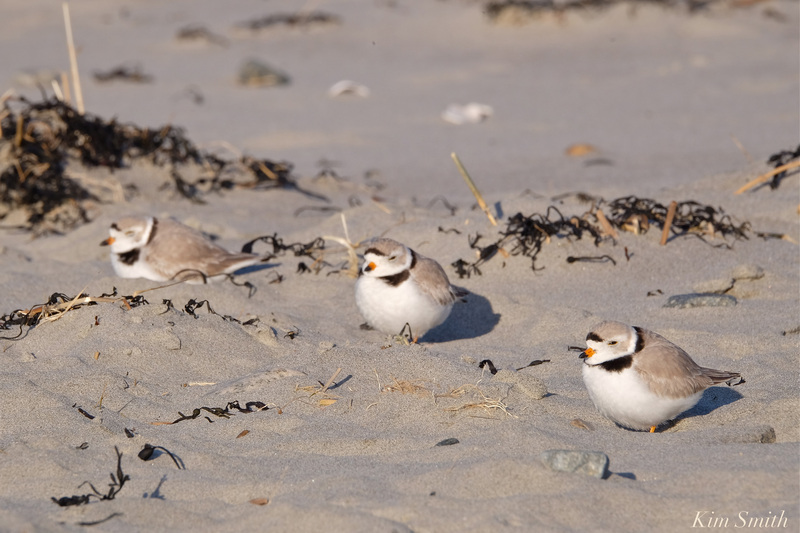 This entry was posted in Birds, Birds of New England, Cape Ann Wildlife, Life at the Edge of the Sea, Piping Plover and tagged Beautiful Birds of Cape Ann, Calidris alpina, Charadrius melodus, Dunlin, Gloucester, Good Harbor Beach, Piping Plover, when do Piping Plovers return to Massachusetts beaches? on April 8, 2018 by Kim Smith. 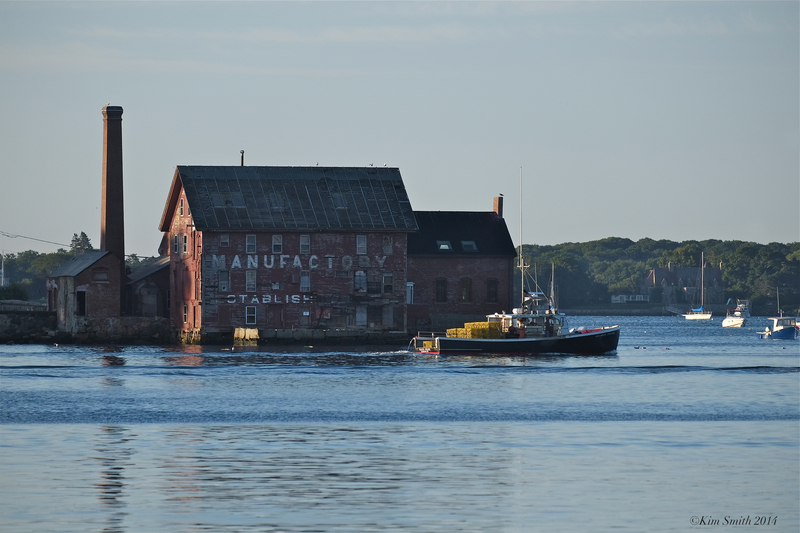 Snapshots from an August morning, taken just after sunrise while watering the HarborWalk gardens. I am so swamped with work during the warmer months that I never got around to posting these. Hurry Summer ~ We Miss You! 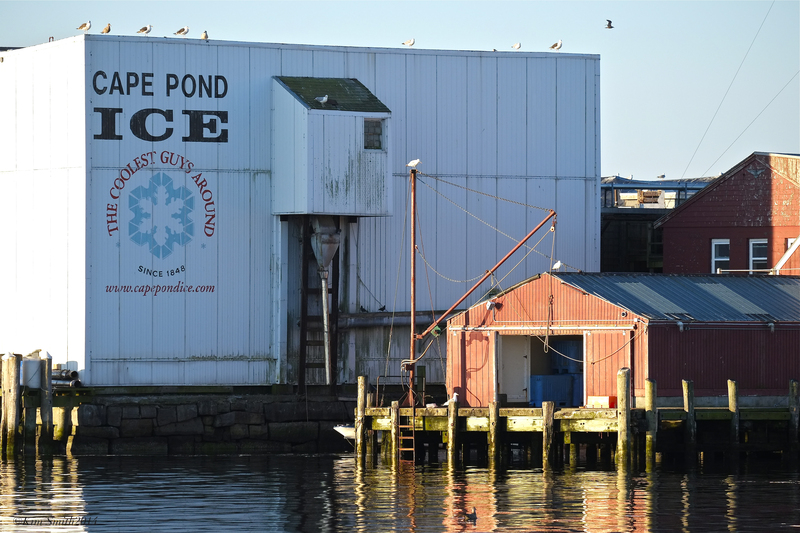 This entry was posted in Cape Ann, Gloucester, Gloucester Harbor, Life at the Edge of the Sea and tagged Black Pearl, Cape Pond Ice, Dege, Dunlin, Jolly Roger, Lobster Boats, Paint Factory, Tiffany Marie on March 8, 2015 by Kim Smith.